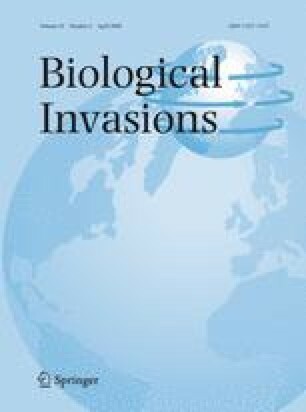 Invasive alien species (IAS) exact large biodiversity and economic costs and are a significant component of human-induced, global environmental change. Previous studies looking at the variation in alien species across regions have been limited geographically or taxonomically or have not considered economics. We used a global invasive species database to regress IAS per-country on a suite of socioeconomic, ecological, and biogeographical variables. We varied the countries included in the regression tree analyses, in order to explore whether certain outliers were biasing the results, and in most of the cases, merchandise imports was the most important explanatory variable. The greater the degree of international trade, the higher the number of IAS. We also found a positive relationship between species richness and the number of invasives, in accord with other investigations at large spatial scales. Island status (overall), country area, latitude, continental position (New World versus Old World) or other measures of human disturbance (e.g., GDP per capita, population density) were not found to be important determinants of a country’s degree of biological invasion, contrary to previous studies. Our findings also provide support to the idea that more resources for combating IAS should be directed at the introduction stage and that novel trade instruments need to be explored to account for this environmental externality. Disclaimer: This paper does not represent the views of AAAS, the EPA, or the World Bank Group. Many of the data used for this paper have come from the World Resources Institute’s EarthTrends database. We thank them for this invaluable resource. We would also like to thank Peter Baxter for helpful comments on the manuscript.